La Roche-Posay unveils its first spot diagnosis tool, engineered by artificial intelligence and developed with dermatologists to provide the most accurate skin diagnosis and recommendations for spot and acne-prone skin. Effaclar Spotscan is a tool containing extensive data sourced by dermatologists and is powered by an exclusive patented algorithm. Using an iPhone or Android device, Spotscan will take 3 images of the user’s condition. The user will receive a grade and a total count of the number of blackheads, inflammatory spots and brown marks left by spots. Following this, the tool will provide tailored skincare advice as well as La Roche-Posay product recommendation based on skin type and grading. Where appropriate, the tool will redirect patients with more serious acne to a specialist. 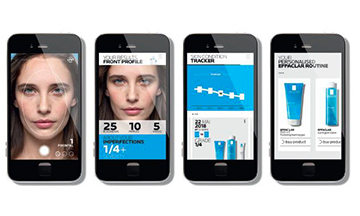 La Roche-Posay Spotscan is available now exclusively on boots.com when accessed from iPhone or Android.